Flowers TV Onam 2016 Premier Films List can be read from here, as per the info these are the Onam special night films of Flowers TV. All films are did average or poor business at box office. They have recently played some films like Onnamloka mahayudham, Vegam etc. You can expect more such films on Flowers TV during Onam 2016 season. 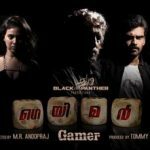 Dolls, Wonderful Journey, Manja, Snehamulloral Koodeyullappol, Chewing Gum, On The Way, Gamer , White Boys, Veerappan, Moonnam Naal, Alice, Kattumakkan and Nellikka. We have got this list officially from Flowers TV. There are more films on Flowers TV during This Onam 2016 Season.